Today, enterprises need secure mobility strategies in order to keep up with a rapidly expanding mobile footprint. 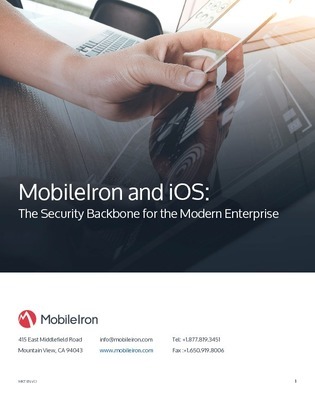 Together, iOS and EMM provide a comprehensive, secure management platform and operating system that give IT security teams the scalable, proactive control they need. Download this white paper to discover an EMM solution that provides a comprehensive platform that protects enterprise information wherever it lives: in the datacenter, in the cloud, in mobile apps, on mobile devices, and in motion between them.